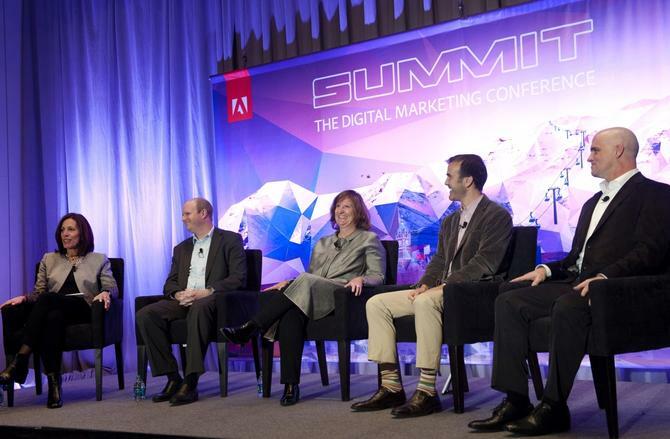 CMOs are increasingly becoming the solution to the weaknesses in an organisation’s priorities, vision and future strategy, several industry executives at Adobe’s Digital Marketing Summit claimed. Commenting on the role of the chief marketing officer during a panel session on marketing’s reinvention, CEO of digital agency Razorfish, Peter Stein, said CMOs have gone beyond leading marketing and customer interaction within their organisations, and are becoming masters of innovation. According to Stein, the best CMOs are the ones with a true business perspective. This could be because they were a CTO, or a marketer that gained broader business exposure over the course of their career. CEO of executive recruitment firm Russell Reynolds, Jana Rich, shared a story of a recent Fortune 50 company CEO that told her it’s the triumvirate of CEO, CIO/CTO and CMO that runs the business today. “The role of CMO is all about leadership,” she said. “One of the fundamental reasons why CMO tenures are not longer is because of that leadership piece. More and more is being asked of the CMO to build great teams and also lead right across the function. Adobe CMO, Ann Lewnes, pointed to the data-driven nature of marketing as the catalyst for the change and rise of the role. “One of my favourite quotes from our CEO, Shantanu Narayen, is that he expects the CMO to soon have a better pulse on the business than the CFO because we’re so immersed in the numbers,” she commented. The panel turned their attention to the need for marketers to reinvent themselves if they’re to meet the needs of a digitally led business. For Audi of America general manager of digital technology and strategy, Jeff Titus, embracing agile ways of working and quicker product cycles are vital. Titus also stressed data know-how as one of the most important tools in the marketer’s arsenal. Stein said the best thing marketing leaders can do is get the organisation focused on the right KPIs. Stein also called on marketers to embrace technology and make it a secret weapon. Adobe’s recent <i>Digital Roadblock: Marketers Struggle to Reinvent Themselves</i> survey also showed that while marketers are willing to embrace change, 60 per cent don’t want to use technology unless it is mainstream. “There are operational reasons why this is the case, but it’s such a wide opportunity and so many marketers aren’t embracing it,” Stein said. Given learning new skills is often the reason people want to work and stay with an organisation, Rich said this should be a key focus for marketing leaders looking to reinvent themselves and their department. Ways to do this could be embellishing a staff member’s experiences with agencies, partnerships with business schools, introducing cutting-edge marketing programs, making contact with marketing students to gain access to new ideas, and more cross-functional work.